This is a beautiful Colt SA Army .45 cal with 7.5 Barrel with all matching numbers and original walnut grips . DFC Inspector Marks as well as extremely rare Inspector Cartouche by Frank Heath and date of 1885 stamped onto the left grip. 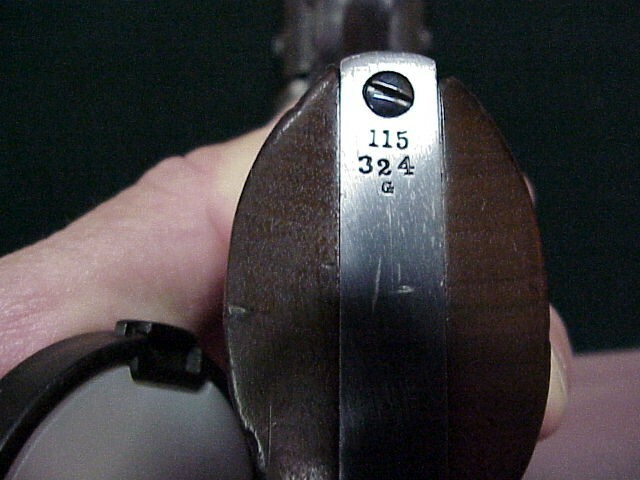 Serial Number 115XXX indicates Mfg. 1885. Famous Tom Haas refurbished. Mint. More pictures by request. No Colt Letter. 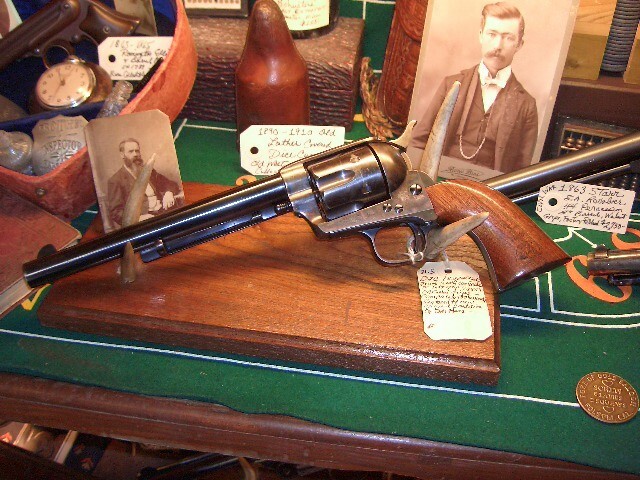 This is a beautiful Colt SA Army .45 cal with 7.5 Barrel with all matching numbers and original walnut grips . DFC Inspector Marks as well as extremely rare Inspector Cartouche by Frank Heath and date of 1885 stamped onto the left grip. Serial Number 115XXX indicates Mfg. 1885. Famous Tom Haas refurbished. Mint. More pictures by request. No Colt Letter. Please email cowboyron@cowboycabin.com with questions or call 406 270-2842.